There are just something about certain aircraft that makes them special and the de Havilland Dragon Rapide is one. 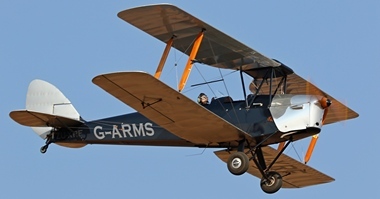 Designed as a 6-8 passenger short haul aircraft the plywood and steel bi-plane Rapide quickly found favour in the burgeoning airline market and 205 were sold worldwide. 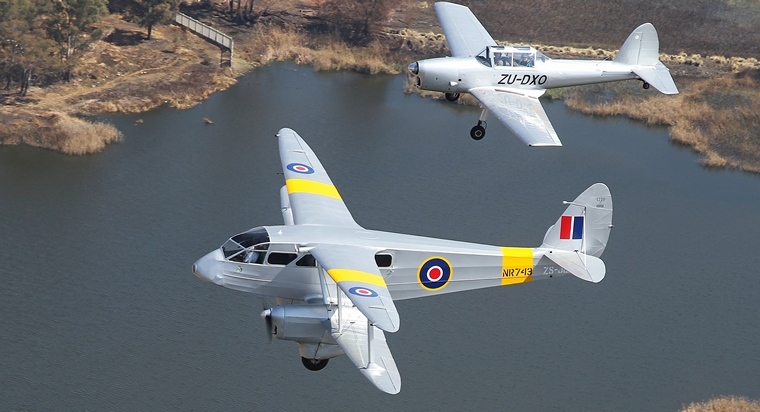 At the outbreak of WWII many Rapides, like a large number of other civilian types, were impressed by the British armed forces and served under the name de Havilland Dominie, for passenger and communications duties. More than 500 Dominie's were built. Rapide's were a fairly common sight in South Africa after the war years. Comair operated two on regional routes. ZS-JGV served most of its service life in southern Africa. Mark Sahd of Queenstown bought her from John English in 2011 and the partially restored project was transported to East London where Dave Hart did a complete rebuild. In August this year she took to sky for the first time since 1996 with Captain Flippe Vermeulen at the controls. The last time a Rapide visited up north was in 1987. 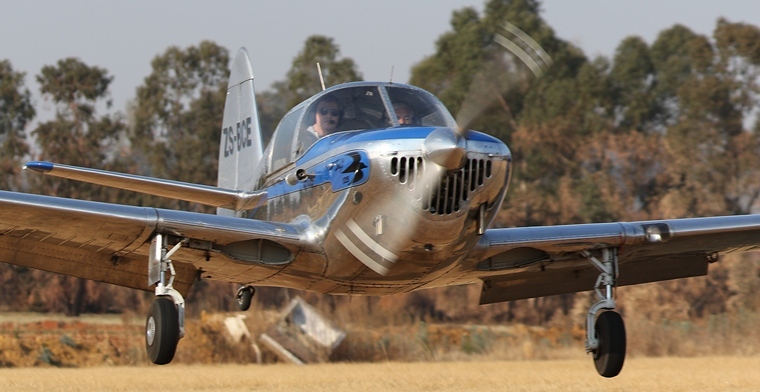 When John Illsley heard that Mark was bringing the Rapide up to be displayed during the Rand Airport Airshow he immediately arranged an impromptu fly in at Petit, inviting all owners of de Havilland products. Thirteen owners responded and many other types visited. 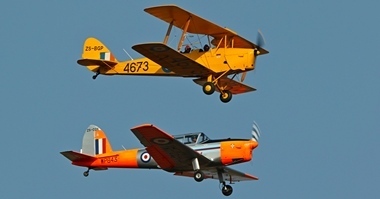 Again piloted by Flippie the Rapide arrived accompanied by two Chipmunks. Once parked, she was literally swamped as everyone wanted to have a look at the latest Rapide rebuild and the only flying example in Africa. Everyone was treated to a free breakfast in John's Hanger and as was to be expected the talk was all about aircraft. Manny thanks to Mark for sharing his passion and to Flippie for ferrying her from Queenstown, to John for taking the initiative and organised a day that will not soon be forgotten and to Captain Karl Jensen that kindly flew us in his immaculate Cessna 170 for the photo shoot.